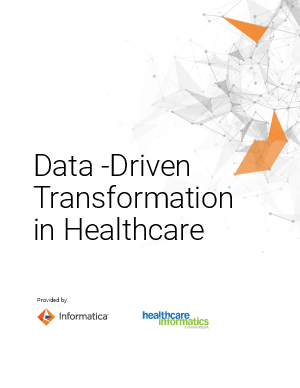 Data-driven healthcare is no longer limited by geography or time –delivery of care spans hospital, office, retail and home settings. It is empowered through mobile, tele-health and digital healthcare devices. Consumers expect health interactions to be timely, frequent and convenient and are distressed when healthcare lags behind other industries. The new digital paradigm and empowerment movement in healthcare allows data and information to flood through organizations as well as to and from patients and communities. Enabling this free exchange of information allows people to work together in ways that are both positive and disruptive. Traditional business models and approaches to data management, analytics, and governance must adapt accordingly.